Japanese director Nobuo Mizuta tells DQ about the challenges of making a romantic drama in the shape of Nippon TV’s Weakest Beast, the story of two 30-somethings struggling to find love until they unwittingly cross paths. 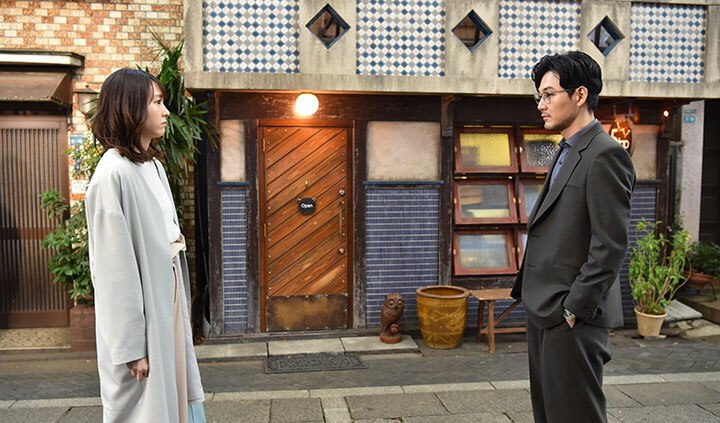 Following the success of Nippon TV relationship dramas Mother and Woman – My Life for My Children, the Japanese broadcaster is bringing a romantic drama to international audiences. Weakest Beast is described as a love story for adults who hope to find romance but are crippled by fear or anxiety. The series follows two modern-day millennials: a 30-year-old woman who does everything perfectly at work yet is constantly keeping her emotions in check and a street smart, charming 33-year-old ladies’ man. He trusts no one until one fateful day draws these two people together. Will they finally follow their gut instincts and open their hearts? Weakest Beast is produced by Nippon TV’s drama series producer Kyoko Matsumoto and directed by Nobuo Mizuta (Mother, Woman – My Life for My Children, Anone). Here, Mizuta, who is also operating officer and president of production at Nippon TV, tells DQ how the series was conceived and why it has become a social phenomenon in Japan. Akiko Nogi, the scriptwriter, and our producer Kyoko Matsumoto had previously worked together on The Memorandum of Kyoko Okitegami. Ms Matsumoto asked Ms Nogi to create something for Nippon TV again, and that is how Weakest Beast was born. It turns out Ms Nogi mentioned she wanted me to direct it. Ms Nogi is consistent with her theme and she focuses on how challenging it is for women to navigate the world in this day and age. No matter what people say, there are still a lot of stubborn men who are not sensitive at all. Many can attest to how tough it still is to live as a woman. As the writing process unfolded, I realised some masculine aspects were interpreted by women in ways that were so different from a male perspective. It was eye-opening. For example, the old boyfriend of the lead female character came out like such a loser, even though I thought he was not that bad! Ms Nogi, Ms Matsumoto and another experienced female producer always made sure they checked their perceptions with each other, and they had many convincing depictions of men and their behaviours and thoughts that resonated strongly with female viewers (and male viewers, in the end). What is Akiko Nogi’s writing process like? Ms Nogi’s early drafts are already quite well written. I have worked with a lot of screenwriters and she is in the upper tier. She has excellent composition skills. Screenwriters write as they imagine scenes, but we directors work in reality. I know, for example, that I can reach ‘that wall’ in three steps, but all that writers can do is imagine it, so there will always be a difference – and on some points, I insist on depicting things the way I see fit. How do you film television dramas? I have a unique way of filming dramas, which tends to draw the interest of writers. I believe it is not merely about having different cameras, lenses and lighting techniques. I do not stop the actors in the middle of the scene. I also minimise the number of cameras on set. I designate one main camera that will capture the most crucial essence of the scene and then film that scene from top to bottom without cuts. Then I change the angles and lighting before doing another run. I never try to make the cast act in a way that would fit a particular cut I have in mind. In a way, this method resembles documentary filmmaking, which is a bit different from the way other directors shoot dramas. It gives actors the freedom to portray their roles. I just tell them to be free and act. This brings forth more reality to the finished product, because acting is really about reflexes. Is it challenging to make a romantic drama? Yes, because I have not had much success in romance! For Weakest Beast, we tried to be a bit ‘snobbish’ and depict scenes in difficult or indirect ways because that’s the way Ms Nogi’s script was written. Challenging stories like this are the ones that make you feel it was worth all your effort. And when you begin to feel that all your hard work is worth it, the sense of difficulty disappears. It feels more worthwhile working on difficult portrayals. How did you find the location for the series? Finding the right location is one of the most crucial elements of pre-production. Preparation is 80% of a director’s job. That includes writing and casting. Filming is only about 5%, while 15% is post-production, where we decide how to edit and what music and sound to add. 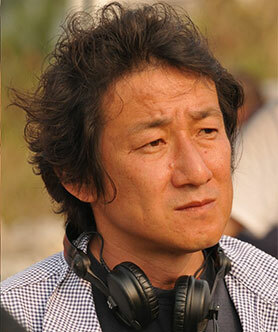 As long as you have done a good job in preparing, there will be no unforeseen occurrences during filming. Before we decided on Five Tap, a chic craft beer bar where all the characters get together and the drama starts happening, we looked at countless locations. Ms Nogi loves craft beer, so that was in the script from the get-go. She wanted to bring craft beer to the national stage but we realised brewers are our sponsors, so we thought it might be difficult to show on screen. Then, [brewer] Kirin offered to let us use their name on an imaginary product. We were excited because the drama would be complete even if it only showed the main characters drinking beer every time. What we wanted was a pub in the middle of a residential neighbourhood and not an entertainment district. It was important to have the pub and the female character’s apartment on the same street, with the male character’s office in the middle. Our conditions were quite specific and we wanted to show their geographical placements in one take while they were walking on the street. Why do you think Weakest Beast has the potential to attract international audiences? In many countries, even in developed ones, there are still factors that compel women to speak out, just like what happened with the #MeToo movement. This series focuses on how tough it still is for a woman in this day and age, be it in Japan or elsewhere. I believe we are at a juncture right now that will head towards equality for men and women, and viewers of this series will relate to the characters in the series in how they make decisions on their own to make their life better and meaningful. Why has the series been described as a social phenomenon among millennial viewers? Ms Nogi really wanted to write a story that accurately reflects men and women in modern society. Take a look at the male character: he talks badly about people behind their backs, and yet he does not present better alternatives or show leadership qualities. He also passes out when he drinks, even when he is with a woman. Isn’t he so typical of the guys you see nowadays? He basically feels no pressure to act like a man. The woman does everything perfectly at work, while constantly keeping her emotions in check. All she wants is to fall madly in love and have a relationship where she can be true to herself, but every day passes without progress. She soon realises she has been the perfect employee and girlfriend yet this is getting her nowhere. These are the kind of examples that made viewers post so many responding messages on social media sites during and after watching.